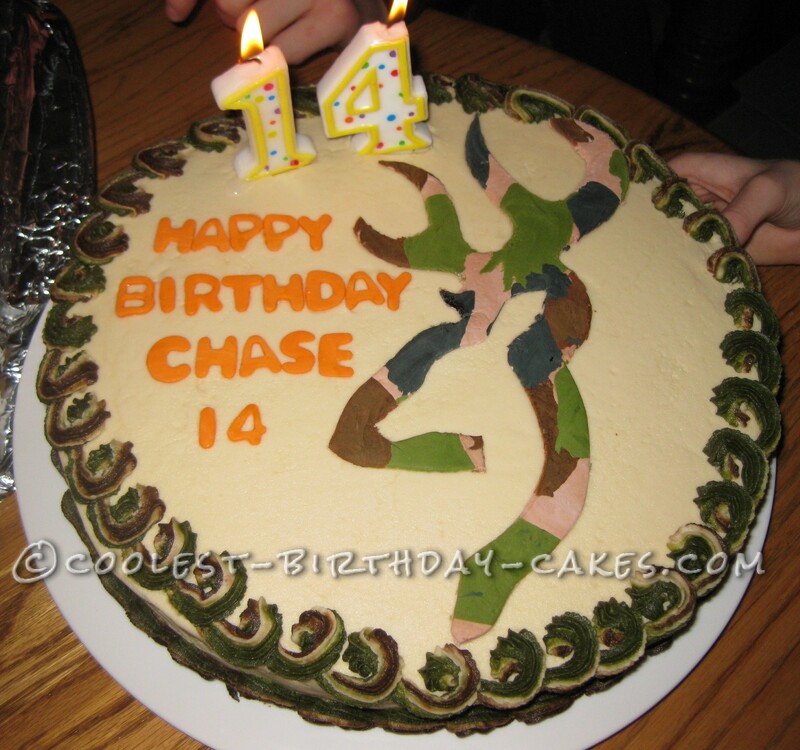 To create this easy camouflage deer hunting cake, all buttercream frosting and the deer symbol were made out of fondant. This was my first attempt at camo and it was actually easier than I thought it would be. What I did was roll out some tan colored fondant. On top of that I set random pieces of brown, olive green, and black fondant. I then rolled it out more. NOTE: When adding the random pieces, just pull off small pieces and flatten them out between your fingers. Lay them on top of the main color and after setting all of these random piece colors down, just roll it all out together some more. I hope this helps someone who is wanting to do camouflage. I am a self taught newbie and I’m always looking for something nice, but achievable for the average person like me to do! For the symbol all I did was print out a picture from the internet, cut it out, laid on my fondant and cut around it with a pizza cutter!